You cannot Normal Summon or Set. During the End Phase of the turn that a "B.E.S." 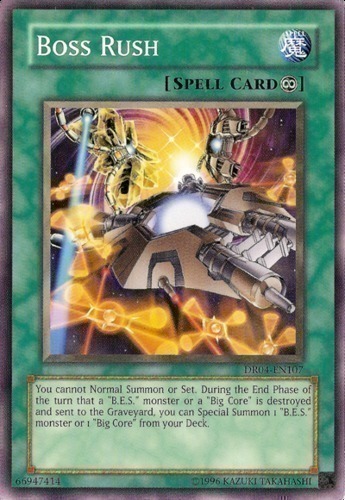 monster or a "Big Core" is destroyed and sent to the Graveyard, you can Special Summon 1 "B.E.S." monster or 1 "Big Core" from your Deck.